Massage is a wonderful way to relax and experience feelings of well-being, through the healing power of touch. Benefits include improved circulation, improved elimination of toxins, the easing of aches, pain and stiffness, and improved flexibility. Massage also helps promote good digestion, better posture and restful sleep. A wide range of massage styles are available to help with tight, stiff, sore and aching muscles. Massage techniques range from light touch to deep tissue muscle work. Therapists are able to recommend styles which are most appropriate for each patient. Acupressure is an ancient Chinese technique based on the principles of acupuncture, and involves the use of finger pressure (without needles) on specific body points. It is a way of accessing and releasing blocked or congested energy centers in the body. Chair Massage counters the circulatory problems inherent with office work—and provide a appreciated break for employees. Sitting in a massage chair opens up the back muscles, relieves strain on the neck and provides a gentle respite for eyes usually glued to a computer monitor. Even 20 minutes of massage to the neck, back, arms and hands can increase circulation, returning energy levels and helping keep the body injury free. Craniosacral The CranioSacral Therapy practitioner essentially helps the body release restrictions – which it has been unable to overcome on its own – that inhibit the body’s normal, self-correcting tendencies. Rather than deciding how these changes should be made, the therapist follows cues from the body on how to proceed. When the therapist follows this gentle approach, the method is extremely safe and effective. Deep Tissue Massage promotes the alleviation of specific areas of discomfort. It incorporates a combination of techniques using deep pressure that allows the release of chronic blockages in muscles and tendons. Hot Stone Zen Therapy use smooth basalt stones are heated and applied to the body to give the ultimate thermo- therapy treatment. Stones are used to relax and massage muscle tissue, dissolving stress and tension. Soothing the body, mind and spirit to reconnect with nature and the earth. Lymphatic Drainage reduces edema, local puffiness, stimulates a sluggish immune system, increases cellular level immunity, enhances the beauty and health of the skin and reduces scar tissue. It is deeply relaxing and soothing. Myofascial Release a very effective hands-on technique that provides sustained pressure into myofacial restrictions to eliminate pain and restore motion. Neuromuscular are specific massage techniques that bring balance between the muscles, the skeletal system, and the nervous system. Balance within the body is important for maintaining optimum health. Neuromuscular Massage Therapy is one of many approaches that can help you maintain a healthy lifestyle. Shiatsu which literally means “finger pressure” is a form of bodywork that allows the patient to get in touch with their own healing abilities. It is a balance – an interactive relationship – between practitioner and patient, in which pressure is applied to specific points of the body to stimulate the bodies energy system and to ease aches, tension, fatigue and symptoms of disease. Sports Massage a special form of massage typically used before, during, and after athletic events. The purpose of the massage is to prepare the athlete for peak performance, to drain away fatigue, to relieve swelling, to reduce muscle tension, to promote flexibility and to prevent injuries. 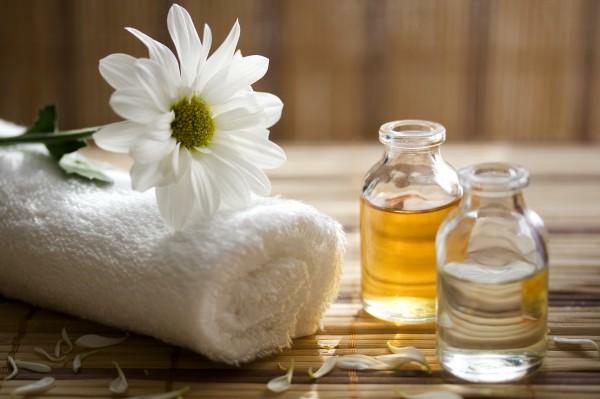 Swedish Massage utilizes soothing, relaxing strokes to promote body balance and harmony. Light to moderate pressure enhances circulation while gentle stretching reduces tension. Recommended for a first time massage experience. Traditional Thai Bodywork evolved from the ancient healing traditions of Ayurveda, yoga and Thai Buddhism, employs hands, feet, arms and legs to guide the recipient through a series of yoga postures with fluid movements, gentle pressure and stretching. Reflexology is a therapy in which the nerve endings or zones are primarily in the feet are stimulated by specific massage techniques to effect changes in another part of the body and thereby create health and help overcome disease. Aromatherapy utilizes specific plant oils to produce fragrances that either stimulate or relax the body. These fragrances stimulate odor-sensing nerves in the nose, which in turn signals the part of the brain that controls memory and emotion. The oils interact with the body’s hormones and enzymes that cause changes in blood pressure, pulse, and other body functions. Balancing Facial Massage uses lavender oil which is gently applied to the fingertips of the massage therapist then with small circular movements and pressure point. The daily stress of your face is brushed away. Lavender Hand Massage uses lavender hand cream which is gently massage into tired stressed hands. Helps to open up tight muscles and moisturize dry skin. Rosemary Scalp Massage uses rosemary oil which is applied to the fingertips then gently massaged onto the scalp. Incorporating pressure points to stimulate the flow. Wonderful for tension headaches and fatigue. Bliss Therapy Lavender essential oil is inhaled during this calming Deep Tissue massage. Back , arms, neck & hands are focused on. Combined with a facial massage using Ceramic globes to relieve tension, increase circulation to promote oxygenation to the skin, stimulate collagen fibers, improve elasticity. Also tightens & lifts facial muscles, creates a more youthful appearance. All this with a pressure point massage on the scalp to end this blissful therapy. Euphoria Therapy 33 Essential Minerals and elements for the human body are released in this heated treatment. Typical chronic pain, arthritis, sore muscle joints, back pain, neuropathy, osteoarthritis , rheumatoid arthritis, carpel tunnel , diabetes, osteoporosis, heart disease, sciatica, hypertension, inflammation, fibromyalgia, shingles, migraines, surgery wounds, lymphatic system, circulatory problems, menstrual cramps, injuries, spastic bowel, sprains & strains, anti-aging and more… When the lamp is heated it emits unique bio-spectrum electromagnetic waves that allow for maximum absorption into the human body. The absorbed energy promotes microcirculation & metabolism, strengthens the immune system and achieves short and long term pain relief. The light therapy itself regulates physiological deficiency , depression and seasonal disorders. This is combined with a local acupressure massage and rosemary essential oil to relax and tone the female body into a state of euphoria. Focus on calming the busy mind with feelings of inner peace. This meditative Sage & Cedarwood massage will melt you away. Includes a grounding foot massage. Protect your immune system against cold and flu symptoms. This gentle Swedish massage has the healing benefits of Eucalyptus & Tea tree essential oils. Great for tired achy bodies. A warming deep tissue massage with the spicy blend of Cinnamon & Ginger essential oils. Helps to tone and stimulate your body. Increases energy levels. Hand & foot massage included. Relax your muscles from a stressful day & achieve a restful sleep with this Lavender massage. This is a pure relaxing blend to soothe away your stress. Includes foot & hand massage. And a delightful facial and scalp massage. This swedish massage will uplift and refresh your 5 senses. Sweet Orange & Lemon essential oils will leave you feeling euphoric. Increase your circulation, energy levels and strength. A Peppermint and Rosemary deep tissue massage will make you feel energized. Balance your mind, body & spirit with a cosmic blend of peppermint & lavender essential oils. Our synergy sports massage will leave you feeling out of this world.